The reviews keep coming for From Counterculture to Cyberculture: Stewart Brand, the Whole Earth Network, and the Rise of Digital Utopianism by Fred Turner; a consensus is developing that Turner has articulated an important new understanding of the relationship between the aspirations of the 1960s counterculture and the utopian visions of the creators and promoters of cyberspace. Giles Slade reviewed the book about a week ago in the Los Angeles Times: Turner is eager to trace the complex legacy of cybernetic theory and ideology from its World War II-era birthplace (the Massachusetts Institute of Technology’s Radiation Laboratory) through the counterculture of the 1960s to the rise of networked computing and the misleading ideology of purity that underlies contemporary views of cyberspace. 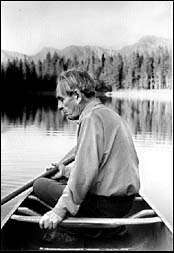 … Turner describes how the back-to-the-land movement of the 1960s and early ’70s eventually turned away from the political work of community-building toward the increasingly elitist belief that small technologies would transform consciousness and that together machinery and consciousness would provide the basis of a new social order. 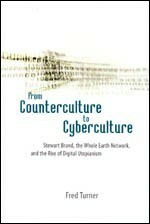 As Slade summarizes the book in his review, Turner traces the central role of Stewart Brand and the Whole Earth network in facilitating the transformation of counterculture into cyberculture. Between 1968 . . .
A recent review penned by the distinguished historian and scholar Anthony Grafton has much to say about Alessandro Scafi’s new book Mapping Paradise: A History of Heaven on Earth. Writing for The New Republic Grafton praises the book’s detailed historical account of the various attempts—made throughout the Middle Ages to the Renaissance—to chart the geographical location of paradise. Grafton writes: becomes a sort of erudite Virgil, leading the reader on an extraordinary journey through thousands of texts and maps—a journey that ends up teaching many lessons not only about the visions of the world but about tradition and how it operates.… Scafi’s patient and scrupulous exegeses tease out the meanings of icons and symbols, and record the immensely varied visual and verbal conventions that the mapmakers devised, and make clear the extraordinary conceptual richness and density of the maps of paradise. 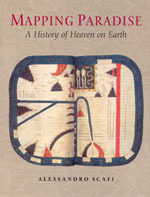 Mapping Paradise is itself a masterly map of concepts and images whose logic has been lost with time.… Mapping Paradise does honor to its author and his teachers, as well as to the generations of scribes and miniaturists, exegetes and theologians, whose colorful world it charts with lucidity and insight. . . . Writing in the December/January issue of Bookforum Steven Levy recalls a magazine article penned over thirty years ago by Stewart Brand. Levy notes that Brand’s article, published in Rolling Stone in 1972, was one of the first to bring the then-obscure world of computer hackers into public view. That legendary RS article, “Spacewar: Fanatic Life and Symbolic Death Among the Computer Bums”, is an example of how Brand, the impresario of the counterculture, was instrumental in transforming attitudes towards technology and shaping our digital culture. But the story behind Brand and the radical social transformation he nurtured has gone largely undocumented—until now. Levy writes: Fred Turner, author of the sharply observed and painstakingly researched From Counterculture to Cyberculture: Stewart Brand, the Whole Earth Network, and the Rise of Digital Utopianism, has produced a lengthy argument that Brand’s feat of bringing computer geeks into a magazine best known for rock-star journalism and gonzo attacks on Richard Nixon was just one step in a decades long crusade to transplant the ideals of the ’60s from the dirt-flecked fields of the commune to the elysian fields of cyberspace. In Turner’s meticulously detailed if somewhat slow-motion book, he postulates that Brand was an idealistic . . . In order to evade charges of racism, defenders of profiling point to actuarial data to bolster their claims that profiling is the most cost-effective way to fight crime, relying on the seeming logic of concentrating police resources on the people most likely to commit crime. Meanwhile anecdotal evidence—such as Al Gore being searched—serves to challenge the effectiveness of a purely random approach and nurtures the conventional wisdom that our security depends on targeting certain people. Yet, as Bernard Harcourt brilliantly argues in Against Prediction: Profiling, Policing, and Punishing in an Actuarial Age, relying on profiling or other prediction tools can have the opposite effect—they can actually increase crime, depending on how targeted populations respond to intensified policing and the increased difficulties for certain groups, such as the recently paroled, to find jobs or pursue education. 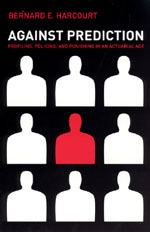 Harcourt’s compelling analysis is required reading for anyone concerned with the effects of our society’s increasing fixation on security, crime, and punishment. Read the press release. . . .
Wolfgang Amadeus Mozart is, of course, one of the most enduringly popular and celebrated composers to have ever lived. With this year marking the 250th anniversary of his birth his compositions remain some of the most frequently interpreted by orchestras worldwide. But what accounts for the perennial popularity of his work? 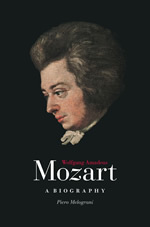 Writing for Opera News Todd B. Sollis praises Pierro Melograni’s Wolfgang Amadeus Mozart: A Biography for its keen insight into the enduring presence of Mozart’s music. Sollis writes: “Never able to secure the kind of well paid permanent court post that many of his contemporaries obtained—Mozart turned to the resources offered him by the consumer market. Melograni argues that in the process Mozart became the sublime composer we know.… Melograni demonstrates persuasively how the furnishes the composer with ‘new stimuli,’ assures his greater liberty, and opens the way to modernity in ways that enable him to occupy center stage on the musical scene even two and a half centuries after his .” Expertly analyzing Mozart’s genius and the social environment that allowed it to thrive, Melograni’s biography will be welcomed by anyone wanting a deeper understanding of one of the greatest artists ever . . .
We don’t often get the chance to discuss Clint Eastwood on this blog. Pairing Eastwood with one of our authors may seem as absurd as, oh, pairing him with Martin Heidegger. Luckily, a journalist has given us the chance. Alison Brady filed an article with the Kyodo news agency—picked up by Tokyo’s Japan Times and San Francisco’s Nichi Bei Times—that compared “two projects that challenge perceptions about Japanese soldiers and World War II.” One is Emiko Ohnuki-Tierney’s recent book Kamikaze Diaries: Reflections of Japanese Student Soldiers. The other project is Clint Eastwood’s almost-released film Letters from Iwo Jima, based on letters of Lt. Gen. Tadamichi Kuribayashi, commander of the Japanese garrison on the island during the battle for Iwo Jima. 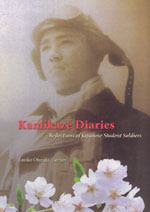 Both of these projects, writes Brady, by “focusing on the personal writings of the Japanese who died for their country, provide Americans a chance to learn, perhaps for the first time, who these soldiers actually were.” Kamikaze Diaries presents diaries and correspondence left by pilots of the tokkotai and other Japanese student soldiers who perished during World War II. The diaries are eloquent testimony contradicting both the stereotypes of the kamikaze held outside of Japan and the propaganda circulated by . . .
“True philosophy leads to the latke.” So proved the great philosopher Ted Cohen in the 1976 Latke-Hamantash Debate at the University of Chicago. Any night of Hanukkah is an appropriate time for the intellectual and gastronomic delights of The Great Latke-Hamantash Debate, a collection of the best of nearly sixty years of brilliant University of Chicago oratory deployed on behalf of latkes and hamantashen. Our online feature for the book includes the text and audio of Ted Cohen’s “Consolations of the Latke” as well as recipes for both the immortal pancake and the equally worthy pastry. Q.E.D. . . .